The mountain pygmy possum (Burramys parvus) is the largest of the family Burramyidae with adults weighing up to 40 grams. It has grey-brown dense fur which goes darker to the top of the head. The possum is primarily found in the alpine environment above the treeline—the only Australian mammal to be confined to alpine habitats. They breed all throughout the southern Victoria and in New South Wales. The head-body length of the mountain pygmy possum averages 111 mm. It has a long scaly tail which is 137 mm long. Adult pygmy weighs up to 30 – 40 grams but they do gain weight prior to hibernation. They have dark rings around their eyes. The mountain pygmy possum is a ground-dwelling terrestrial species. It is most likely to occur above the winter snowline at a height of 1,370 m above the sea level. They are distributed throughout the south east Australian mainland. The isolated population is also found in the river valleys, Victoria, and south-eastern New South Wales. In the New South Wales, pygmy possums inhabit the alpine and subalpine regions of Kosciuszko National Park. In here they occur at an elevation of 1,650 m. There are 500 adults living in the Kosciuszko National Park. The total habitat area is 8 km2. Mt Blue Cow hosts the largest number of pygmy possums with 38 females and 16 males. Similarly, in Charlotte Pass there are 26 breeding females along with 18 males. On the western slopes of Mt Kosciuszko, one can find 34 females and 16 males. Around 30 females are living in the Mt Townsend. Apart from these regions, the mountain pygmy is found in small population size—smaller than half a hectare. 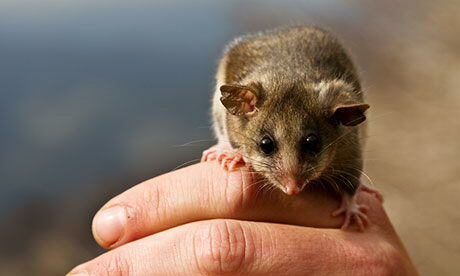 Mt Buller hosts 150 to 200 adult possums. In New South Wales, the mountain pygmy possum is limited only to Kosciuszko National Park. The mountain pygmy possum is likely to make habitats in rocky areas including boulder deposits and shrubby heathland. The Mountain Plum-pine Podocarpus lawrencei is the shrubby heathland for the mountain pygmy species. According to Caughley (1986) the areas which are abundant in shrubs is most likely to invite as many as 5 – 10 mountain pygmy-possums in autumn or late summer. They fancy living in well-defined boulderfields. It’s true that mountain pygmy-possums like to live in areas above the treeline but these trees never form the major part of possum’s habitat. However insignificantthese trees might be the mountain pygmy-possums will always feed on seeds of Snow Gums Eucalyptus pauciflora. Adult pygmy possums are often found nesting in hollows and old boles down the trees. Mountain pygmy-possums rarely go in open areas of snow grass or on shrubs such as Kunzea muelleri, Prostanthera cuneata or Hovea purpurea. The depth of the substrate and boulders is what defines the quality of the habitat. The highest quality habitats are most likely to show extensive boulderfields, abundant Bogong Moths and deep fields. Mountain pygmy-possums rely 71% on arthropods, 27% on seeds and berries, and 2% others for their consumption. Their diet consists of moths, caterpillars, beetles, grasshoppers, spiders and millipedes. Bogong Moths Agrotis infusa (17%) along with caterpillars (19%) make up most of the possum’s diet. 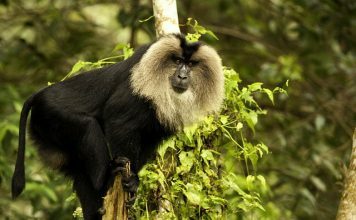 During early spring or summer, they will eat arthropods, seeds, berries, including Podocarpus lawrencei and Leucopogon montanus. Females are known to consume more arthropods than males. Males on other hand prefer seeds because they have to use vegetated boulderfields. In summer Bogong Moths come out in large numbers probably as many as 17,000 individuals per square meter. They occur in caves and crevices. Read More: What Do Opossums Eat? They often confine them to discrete patches of habitat but individuals are known to travel great distances in search of a food. Males typically travel more as compared to the females. They cover up to 3 km in a single night. But they usually spend time in trees. 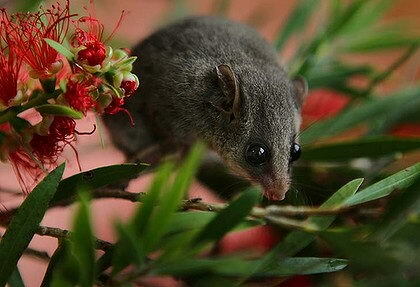 During traveling mountain pygmy-possums seem to prefer shrub cover. However they rarely go far off from their nesting sites. Young travel no more than 20 or 30 meters from the nest. The longest distance ever recorded by a juvenile is 80 meters. Mountain pygmy-possums are almost entirely nocturnal but they do move around in late afternoon particularly in summer months. Possums cannot hang by their tails just like Capuchin monkeys do. At night females spend time with their young in between November and February. Male individuals overlap their home ranges but they never fight; they may share the same nest sites with 6 or more individuals. Mountain pygmy-possums are not territorial species. Both males and females are equally aggressive particularly in the breeding season. Female mountain pygmy-possums have one litter a year. 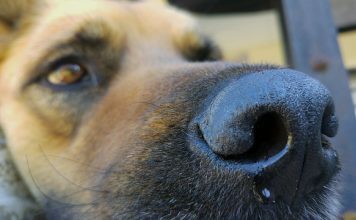 The litter size can go up to four in spring. In NSW the breeding season ranges from November to December. The female will produce a second litter only if it loses the first litter. In captivity however they seem to produce more than one litter a time. The young remains in a pouch for about 4 – 5 weeks after which they will be shifted to a nest where they spend another 4 – 5 weeks. During their stay in a nest, the mother will suckle them. Young pygmy possums are going to wean in about 9 – 10 weeks. The newborns weigh up to 15 – 22 grams at birth. However in autumn they will gain weight and reach 40 – 60 grams by May. Any young are going to breed at one year of age. Unlike many other Australian small mammals, the mountain pygmy-possum is likely to have long lifespans. One of the females in Kosciuszko National Park lived up to 11 years while on Mt Higginbotham they had an average lifespan of 12 years. Males have a maximum lifespan of 5 years. Under ideal habitat conditions, females seem to live long as compared to males. Mountain Pygmy-possums hibernate in winter—a behavior that is quite common in all placental mammals of the northern Hemisphere. Prior to hibernation, their weight is doubled and as such they weigh up to 80 grams. In the Kosciuszko National Park, the possums are known to hibernate around March to April while young will hibernate in May or June. Predators of mountain pygmy-possums include snakes, owls, and quolls Dasyurus maculatus, and feral foxes. Mansergh, Ian and Broom, Linda (1994), The Mountain Pygmy-possum of the Australian Alps, UNSW Press Australian Natural History Series. Department of Natural Resources and Environment, Action Statement No. 2, Mountain Pygmy-possum, Burramys parvus.